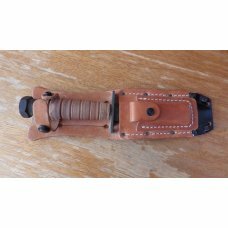 SHEATH: Factory leather sheath with pouch for stone and stone included. 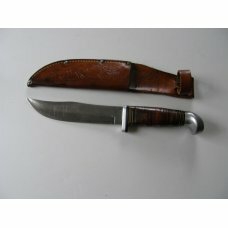 DAMAGE: Normal wear, scratches and surface dings the blade & handle. 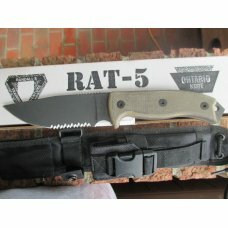 BLADE WEAR: Knife is full-length to factory specs, 9-1/4”. 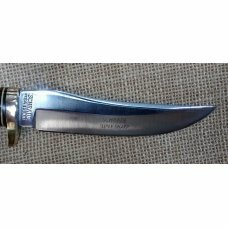 The last time I listed a 153UH with carbon steel blades I wrongly assumed that the carbon steel version was made between 1973 and 1984. 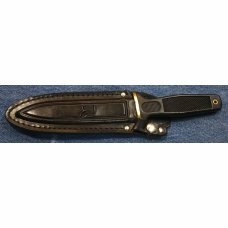 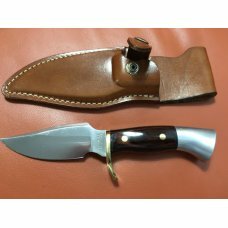 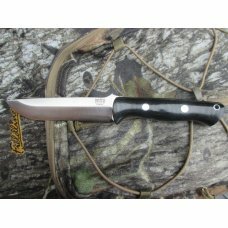 Per information found right here on AAPK from one of the most knowledgeable Schrade collectors I know, the 153 UH was made with carbon steel until about 1995. 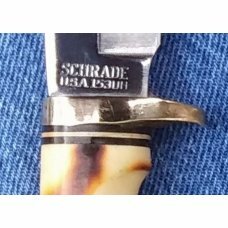 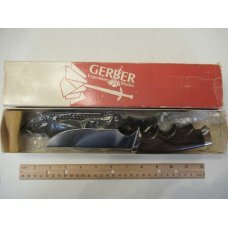 Since this knife does not have the Schrade-Walden tang stamp it would’ve been made in 1973 or later and prior to 1995. 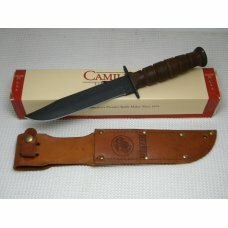 It is surprising to me that the blade etch has remained visible all these years on the carbon steel. 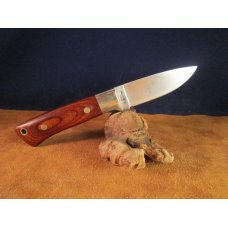 Normally the patina will obscure the blade etch, so I don’t believe this knife has been used a great deal. 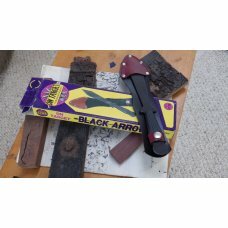 It was probably cleaned it before I purchased it and since the blade etch was still easily visible to the naked eye, I assumed it was stainless steel. 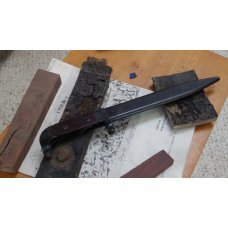 I was wrong, I tested the steel with a cold bluing pen and it is indeed carbon steel. 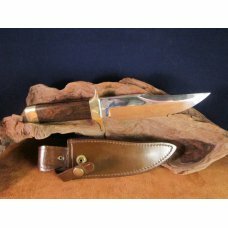 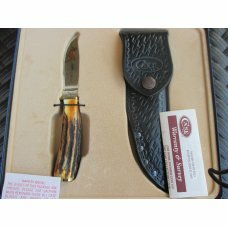 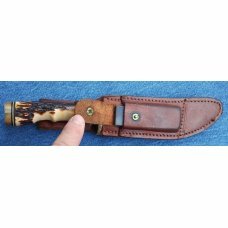 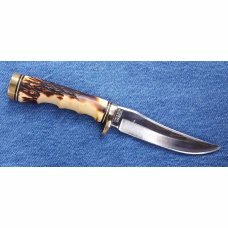 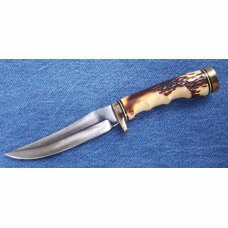 This will make someone an outstanding hunting knife or a great display piece for their Schrade collection! 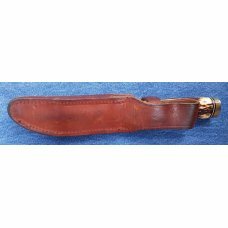 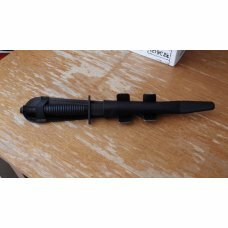 It comes with the original factory sheath for the 153UH, the sheath with the pouch for the sharpening stone. 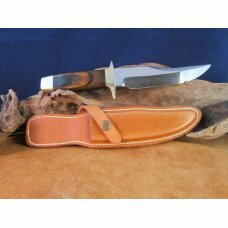 The stone is included with a sheath.